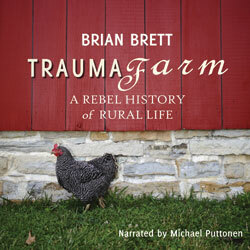 When I read the synopsis of this book I thought it to be some sort of documentary about our Canadian farms and the meat-packaging industry, but instead it's a memoir of journalist and poet Brian Brett as he recounts the eighteen years he spent on his farm, which he refers to as Trauma Farm, situated in British Columbia on an island called Salt Spring Island which is nestled up against the east side of Vancouver Island. I looked it up and found it to be stunning. Brett's writing is beautiful and his love of nature and the land are immediately apparent in his description of the flora and fauna, the farm animals, their behaviour (funny and awe-inspiring) and his experience with it all. Brett chooses not to write in chronological order but instead describes the eighteen years in one day, beginning with his memories of walking naked in the darkness of night on his 10-acre land, and on to the dawn, morning and so forth of that eighteen-year day. Brett is forthright and honest about his opinions and observations on everything to do with farming. I marvelled at his discussion of the humble but versatile egg and also that of the honeybee, but I cringed and was saddened when he spoke of the horrific condition of animals on commercial farms. He speaks fondly of his everyday life experiences with his wife Sharon. And there are funny moments in the book, intimate moments too. I appreciated Brett's wisdom acquired from life on the farm and his reflections of it, even though I disagreed with his beliefs on evolution. Being a city girl, I learned quite a few things listening to the musings of this poet-farmer and it made me long for the time when I believe (in the future under God's rule) we will go back to living in a paradise, a beautiful garden, as the Earth was meant to be, and be in harmony with the land, going back to a way of life that has becoming lost and destroyed by greed and commercialism. I even envied Brett his experiences with the land and farm, something I barely know about, and feel it as a loss. Sometimes Brett lost me as he rambled on about everything along with his philosophical views only because there was no chronological order and his poetic mind could take on one subject after another. 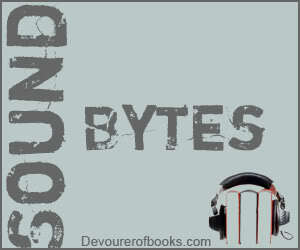 But for the most part, his humanity appealed to me and kept me listening. I think that narrator Michael Puttonen captures well the voice of Brett, his moments of irony and humour. He conveys the feelings the author has of the farm life he muses on. I recommend this to readers who love memoirs, nature and learning about the life of farming.